Ten year old Shivani and her maternal grandmother Satyavati, who were brutally murdered in America, will be sentenced to death on 23rd of July. 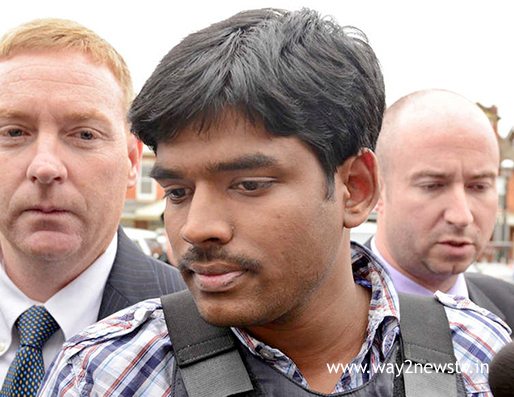 In 2012, Raghu was convicted of the offense and was convicted in 2014 by the US court. On February 23, the authorities decided to execute the death penalty. Dilemma was involved in the execution of the sentence. From the end of 2015 there was a ban on execution of death penalty in Pennsylvania. Death sentence has not been executed here for two decades. The death penalty can not be executed unless the governor makes a suspension or suspension of the ban. If both of these happen, death penalty is likely to be postponed. Raghunandan is the first Indo-American to be executed in the United States if sentenced to death. Raghunandan of Visakhapatnam is software engineer in Pennsylvania. Raghu also lived in the apartment of the Vinna Venkat, a typical apartment of Shanvi's parents of Guntur. He is very close to them. He was planning to kidnap Sanvani to meet the raghu debts that were losing a huge amount of money to the gambling. In 2012 Shivvi was kidnapped. Her grandmother, Satyavati, was brutally murdered. 50 thousand dollars left the letter to kill the child. The police registered the case confirmed that the kid was kidnapped by Raghu. A suitcase was found in a suitcase when the apartment was taken into custody. The court, which examined the case, has sentenced him to death for the death of Raghunandan in 2014.